The clean energy giant, Hanergy Thin Film Power Group recently announced the global launch of Thin Film Flat SOLARtile, its cutting-edge solar roof tiling solution developed in collaboration with CSR Group. Hanergy and CSR Group also co-constructed the Renewable Energy Roofing Display Centre that was built last month at Monier Roofing Headquarter in Rosehill, Sydney. Ahead of the global launch later this year, Hanergy marks the debut of its brand new Thin Film Flat SOLARtile at the Renewable Energy Roofing Display Center, welcoming visitors and international companies from across the globe to give them a first-hand view of this innovative solar roof tiling solution. The two companies will also sign an agreement to officially commence the presales of Thin Film Flat SOLARtile in Australia, New Zealand, southeast Asia, Japan and the United States.The Thin Film Flat SOLARtile is specially designed to meet overseas market needs. 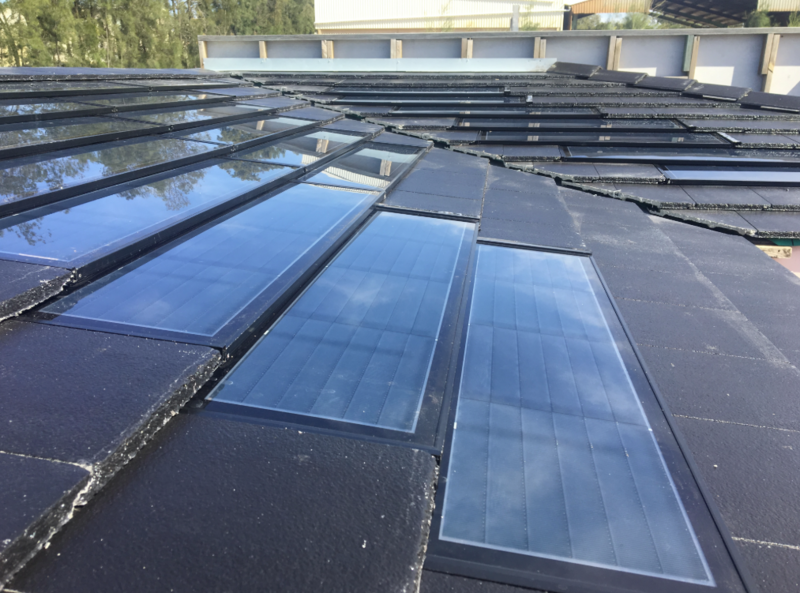 Unlike the curved shape of HanTile, Thin Film Flat SOLARtile is flat and has a square shape which meets local housing standards. It adopts a cross bond structure, where the tile-to-tile interlock is placed in the middle of the next row's tile to ensure the best waterproof performance. Junction boxes are covered by two millimetre steel and safe trays are used to protect cables. The design of the roofing system is inspired by the Gympie Pyramid. "We're particularly excited about the launch of Thin Film Flat SOLARtile in the global market. We're confident that our latest solar roof tiling solution will set a new standard in the global solar market. Further, we're thrilled to join forces with CSR Group and hope to create yet another case study pronouncing the huge success of our soon to be launched solar roof tiling solution," says Lv Yuan, vice president of Hanergy Thin Film Power Group.With the incorporation of the CIGS (copper indium gallium selenide) thin-film solar chips, Thin Film Flat SOLARtile can achieve conversion efficiency, as high as 18.7 pecent, which is the world record. The product has received an outstanding rating for being exceptionally windproof, waterproof and fire resistant. It can work under extreme conditions from -40 degrees to 80 degrees Celsius. Along with thin-film technology's characteristics of being light, thin and flexible, as well as being able to work under low light conditions, it has great adaptability and can be applied in various conditions.